If anyone knows me, they might know that I've become a little tired with the Star Wars saga's place in pop-culture as of now. And while I was really apathetic about the prequels, the way that the franchise has been handled during the CLONE WARS carton era has been terrible. The marketing and merchandising side of things has gone out of their way to mash up Star Wars with everything from Angry Birds to putting Chewie, Yoda and Boba Fett on just about every piece of merchandise possible for a quick buck. 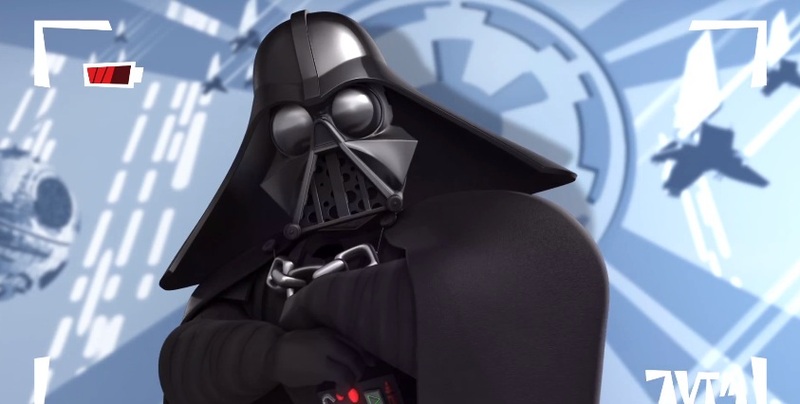 Darth Vader has into a rapping buffoon (remember when he was one of the most fearsome villains in movies? ), and the original trilogy is being remade into something completely different thanks to CGI "enhancements." But that's a rant for another day. Thanks to Business Wire, it seems that George Lucas has decided that his precious Star Wars is worth $4.05 B which what the Walt Disney Company will be paying for the rights to one of the biggest franchises in the world. There are lots of other of other details such as the stock options and what not, but the big shock here is that despite what we have all heard before, there will be a sequel trilogy starting with Episode 7 in 2015 at some point with Episodes 8 and 9 coming in later years. This is very interesting in the sense that George Lucas has always had his fingers in the franchise for better and for worse. Despite what any press release says, I am curious to see exactly what his role will be in the direction of the franchise from this point forward. On a very good note, I wonder how or if we will be able to have access to the original trilogy without the Special Edition enhancements on Blu Ray now. This also means that between the acquisition of Marvel, Disney is poised to have some of the biggest properties in the world and properties in the world. For the grizzly details, please follow the links to Business Wire above for the full press release. EDIT: We have a video from YouTube where Lucas discusses the future of the franchise. When it comes to politics, I'm the more political one of the duo here. I can't help it; I sort of majored in it. So, this time of year can be really fun for me. Now, we typically stray from leaning to the right or left on this site, but this little video by Joss Whedon was too much fun to pass up. While celebrities are endorsing the President or the Governor left and right in the final countdown to election Tuesday, Whedon is here to tell you why he endorses Romney...for the zombie apocalypse. Netflix Instant TV & Movie Picks - Vincent Price man-crush edition! This week we'll finish up with another horror movie-related posts. I wanted to highlight some Vincent Price movies that are on Netflix. As a sort of preview for my wrap up of my 31 days of horror movies, I have to say that Price is probably the most pleasant surprise. I've always heard about his work and his clout as a genre actor but I'd never seen any of his movies! 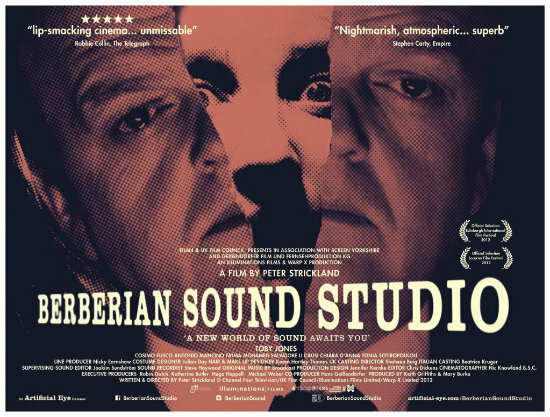 His moustache is impeccable and coincidentally all of his movies have some of the best posters I've seen in a while. I know there's more to this actor than just the movies I'll be highlighting but hopefully they will serve as a good starting point as well for you guys. Check them out after the break. EVIL DEAD Red Band Trailer! After many on again and off again news about an EVIL DEAD remake, producers Bruce Campbell and Sam Raimi finally pushed the project through. 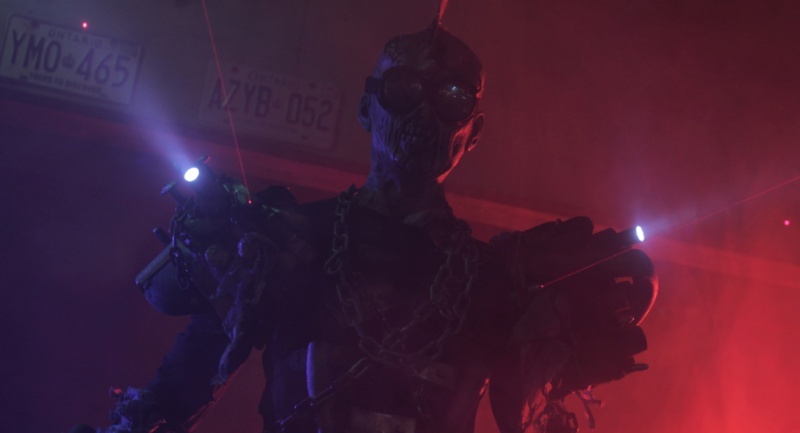 Raimi has said that the similarities to the original will stop at a group of teenagers going to a cabin in the woods. 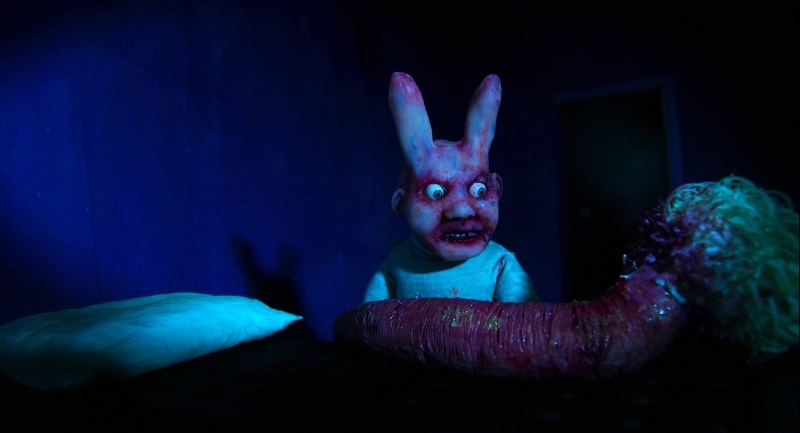 Just in time for Halloween, the blood and NSFW red band trailer has dropped. And it's pretty gory. 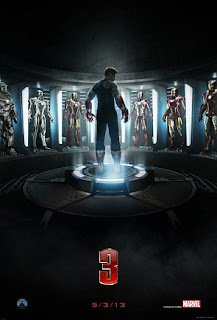 IRON MAN 3 Trailer Drops! Now we're onto round two. After THE AVENGERS blew up the box office this past summer, the Marvel Universe is in full swing to get the sequels out about the individual Avengers. First, they're starting with IRON MAN 3. It seems this third installment happens in the wake of the events of THE AVENGERS, and it has effected Tony Stark considerably. 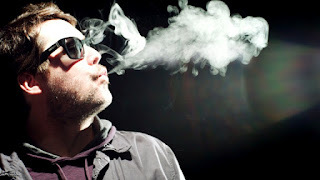 But the trailer makes up for it.Check it out after the break. HOLY MOTORS is one of those strange movies where the hype is well deserved. 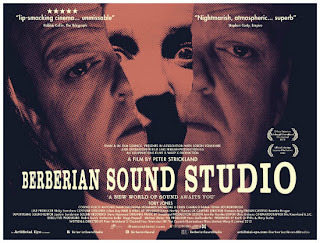 This movie premiered back in March at the Cannes festival, and I was lucky enough to see it during Fantastic Fest. While I haven't written a review for it, I will admit that this is becoming my favorite theatrically released movie of the year. It's beautiful and baffling all at the same time. It's a movie where you know the director knew exactly how to enact his vision on screen. In the trailers for movies that are as ambitious as this, the marketing is usually very misleading, but in this instance I'm surprised how good of a job it does at hinting at the larger themes of the movie while trying to be accessible. Check out the trailer below. It's been a while. Between the craziness before and after Fantastic Fest, it's nice to settle back to some good ole Netflix. Some of my favorites appeared during my absence. Two of which I've seen this past year and one that I have loved since I was younger. While I'm not someone who would considered himself a gamer, video games were a huge part of my youth. 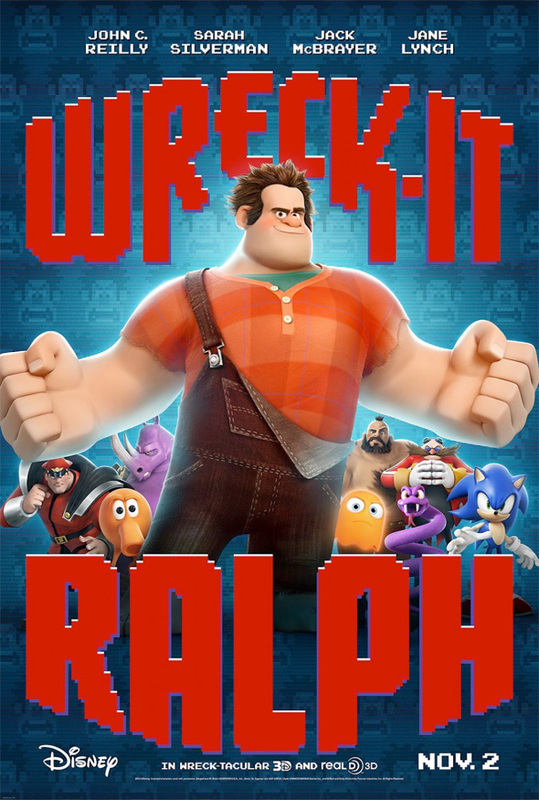 That is why WRECK-IT RALPH is one of the most anticipated movies for me the rest of this year. Given the commercials and the trailers, the story seems to pretty a typical "be yourself no matter what society says" type of story. And while I'm not the biggest fan of corporate "viral" marketing, I appreciate the world building that can happen because of them. Case in point are these commercials, which showcase three of the games from the film; Fix It Felix Jr., Sugar Rush and Hero's Duty. Check them out after the break. Dallas! 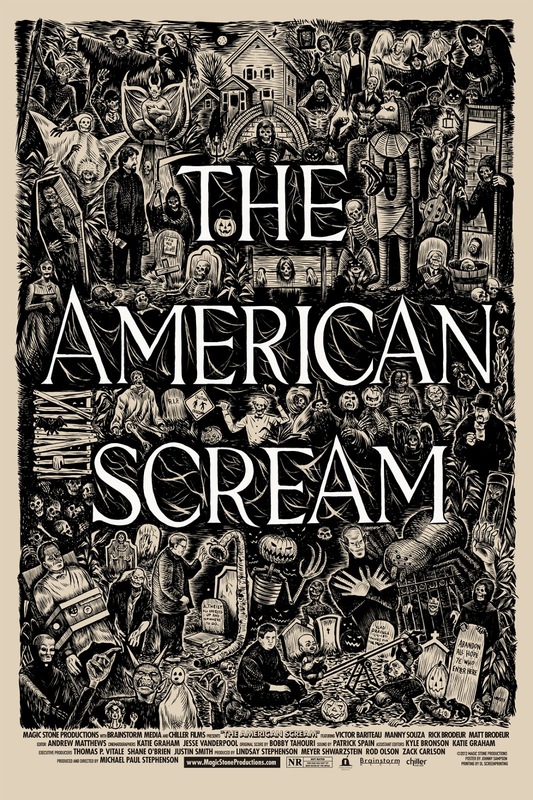 Come see director Michael Paul Stephenson's new movie, THE AMERICAN SCREAM, with us at the Texas Theatre! 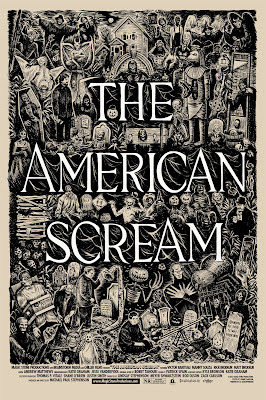 After falling in love with the movie at Fantastic Fest, Jonesy and I were sad to see that director Michael Paul Stephenson's new movie, THE AMERICAN SCREAM was not going to screen here in Dallas. 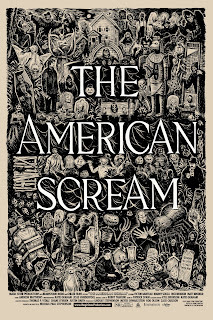 So we got together with Tugg Inc., to bring you guys a special one-time screening of THE AMERICAN SCREAM on October 29th, 2012 at 7:30 pm at the historic Texas Theatre with a special Skype Q&A session with the Michael afterwards. But wait! Just like any other Tugg screening, this cannot happen unless we get enough people to come. So join us for what I can tell you will be a great experience. Follow the link to reserve your ticket and use the Facebook, Twitter and other trendy social media button to tell all of your friends. I know we're famous on the Internet and everything, but every ticket counts towards the goal. Go here to reserve your tickets and see you guys at the Texas Theatre! Labels: Best Worst Movie, Fantastic Fest, Michael Paul Stephenson, Texas Theatre, The American Scream, Tugg Inc. In the spirit of all things horror, a teaser for the remake of CARRIE was premiered at New York Comic Con this past weekend. The teaser gives us next to nothing, but a great last image of Chloe Grace Moretz as the title character. I can't wait to hear the horror nerds take sides with this remake. 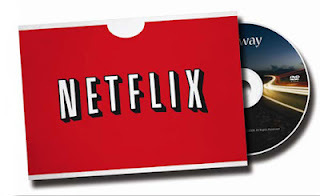 Netflix Instant: TV & Movie Picks - Horror-movie-a-day edition! Hey guys, I do apologize for the inconsistency with the Netflix columns but we've been pretty busy trying to catch up with life post-Fantastic Fest and what not. I decided to give you more movies to check out this week since we've been gone for three weeks. Since I'm doing the stereotypical movie blogger project of watching at least one horror movie a day, I figured I'd highlight some movies I've seen and I plan on seeing over the next few days. Concluding my segments of the shorts, I'll be highlighting my favorite "Short Fuse" shorts. I'll refer to the official FF website to explain what this block is all about: "The best short films can pack in more adrenaline, creativity and flat-out insanity than a million big-budget blockbusters. Or they can show you something so ambitiously horrendous that you beg for mercy. Your intrepid FF programmers have scoured the international celluloid goldmines for the most skull-bursting, taste-annihilating and eyeball-destroying shorts in existence, and this program is truly the motherlode." As before, I'll showcase my favorite five shorts. Check them out after the break. Synopsis: Doug Benson decides to make a movie about going on tour to make money to make a movie about going on tour. Continuing my post from yesterday, I'll be highlighting my top five favorite animated shorts from the Drawn and Quartered block of programming during Fantastic Fest. As always, these are my favorites and don't necessarily reflect badly on any of the other films. Check them out after the break. As always, I am the big fan of the shorts programming of most movie festivals that I attend to. This year's DIFF roster as really great, and I was very excited to see what my friends in the shorts programming panel would have in store for me. As I always like to do with shorts programs, I will only highlight five of my favorite segments. Check them out after the break. 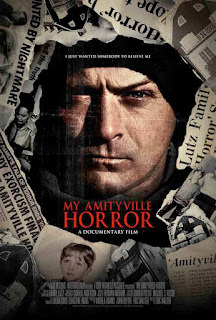 Synopsis: A look behind the story of the Amityville hauntings through the eyes of the eldest Lutz sibling, Daniel. Synopsis: A documentary about three home Haunters in New England.